Business intelligence, or BI, is a critical component of operating a business in the digital age. It simply refers to the broad set of tools and practices that focus on leveraging data for advantageous business outcomes. It also encapsulates the techniques and methodologies involved in the collection, analysis, integration, and presentation of all the required data and information. BI-oriented companies understand the value that data holds and invest their resources in leveraging it to further their goals. Business intelligence as a practice is designed to serve decision makers within an enterprise. In its best case implementation, it allows them a 360-degree, fully transparent view of all the vital information that is essential for increasing success and mitigating risks. 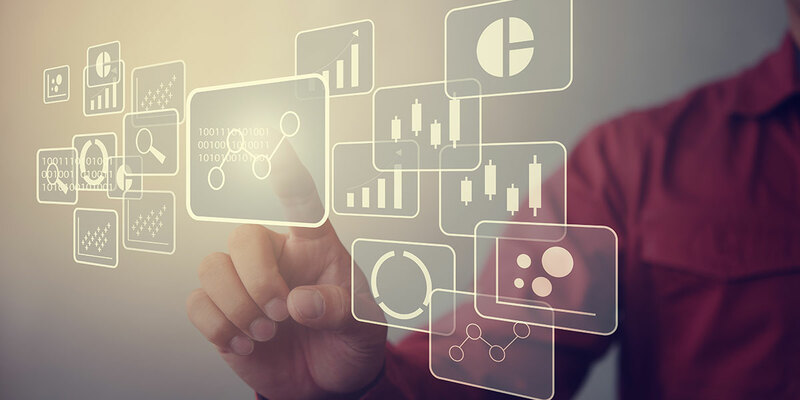 Well-implemented BI can also significantly improve the performance of any company, as it ensures that internal resources are optimized, decisions are informed by data, and outcomes minimized of any expected errors. In order to distill the unwieldy mass of data out in the world, many companies rely on experts, who are able to gather accurate data from various sources and process it for actionable business intelligence. Businesses thrive in a competitive marketplace – driven to innovate and produce new products, solutions, and ideas. However, an essential part of this endeavor is being aware of one’s competition and ensuring that success doesn’t lead to passivity. BI helps businesses maintain an edge in the market by constantly utilizing data to gain insight into their competitors, and course-correcting their success strategies. It allows data sourced from different verticals in the organization to yield value and compliments it with market research and trends to constantly optimize company operations. Current BI tools and solutions also make it easy for various stakeholders in an organization to securely access competitive intelligence and make agile real-time decisions free from delays and bottlenecks. As a result, organizations gain a complete view of their industry with actionable insights that allow them to maintain a competitive advantage. In the last few years, we’ve seen a remarkable uptake in the number of industries and business which are facing disruption. Established companies which have worked hard to achieve a standard of success are being threatened by startups on a more regular basis. The key disadvantage faced by larger companies is their slow reaction to change and adaptation. BI allows companies to not only survive but also flourish during times of disruption, by forewarning and, at times, even instigating disruptive change. Business intelligence covers a gamut of insights and data that indicates which emerging trends are temporary, and which ones are winners. With this knowledge, businesses can reorient their business models and operational practices to take charge of their growth strategy and flourish during times of disruption. The cornerstone of all BI lies in its use of data to reveal opportunities and risks. Modern enterprises generate massive volumes of data at every level and stage of their operations. The sub-sets of data within each division, vertical, and business unit, also holds immense internal stakeholder value. By analyzing this data with BI techniques and experts, companies have been able to improve their processes and productivity in surprising places. For example, Queensland Health, the Australian public sector company responsible for hospitals, was able to optimize their equipment, expenditures, measure ROI, and employee hiring practices, thanks to internal data processed via business intelligence tools. This kind of granular internal data analyses allowed them to make more efficient and effective decisions that enhanced patient care with optimal resources. Analytics-powered BI techniques and tools can transform the way companies deal with customers. By leveraging the power of data, BI tools can decipher hidden patterns and trends in consumer behavior. Previously, research that would take weeks, months or years to execute based on limited sample sets, can now happen in a matter of hours or days with billions in data sets. For companies, it means they can build patterns of understanding of their clients and adapt their business practices accordingly to ensure engagement and satisfaction. BI tools allow customers to gain insight into customer behavior, preferences, and tendencies, thereby allowing companies to cater to these desires. This, in turn, allows companies to make their products more attuned to customer demands and enhance business growth. From financial institutions to technology companies, the power of business intelligence can’t be underestimated. Business intelligence starts from the granular stage of gathering all the information you need and analyzing it to derive actionable insights. Netscribes has worked with some of the world’s leading research companies, investment firms, private sector banks, venture capital firms, and financial services agencies to expand their insights by using creative methods to gather intelligence from multiple sources. Contact us to find out how we can help your business harness the power of data.